Stay warm and cosy with the Warmup underfloor heating range at Atlas Ceramics. We have all you need to eliminate cold feet for good. 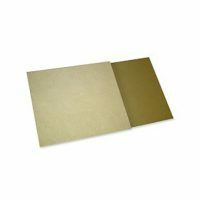 From Heating Mats to insulation boards. Atlas Ceramics specialises in underfloor heating kits, and we only provide the highest-quality products from leading manufacturers. 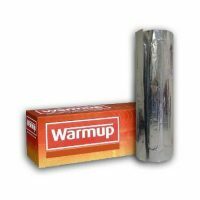 Warmup is one of the best manufacturers of underfloor heating products, and we are proud to sell a large range of their products in our store. Here is some information about the Warmup brand and its products so you can make a more informed decision about your new underfloor heating system. Warmup electric underfloor heating, the world’s best-selling floor heating brand, provides warmth throughout the whole room, giving a whole new meaning to heating and comfort. Warmup underfloor heating offers heat-up time in minutes rather than hours, avoiding overheating and wasting energy. Why Choose Warmup for Your Underfloor Heating? It has long been established as one of the best-selling manufactures of underfloor heating products. It offers an extensive range of high-quality kits. Its products are thin, durable and made from the best components. It has numerous accreditations from third-party institutions. Its products come with a Lifetime Warranty. Why Choose Electric Under Tile Heating? Warmup manufacturers electric underfloor heating systems, and these dry systems have many benefits over water systems (wet systems). They are easy to install and retrofit. There is no need to break up the floor to install them, reducing disruption. Their kit can be cheaper to install. Installation can often be carried out in hours. 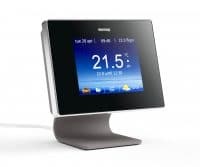 You can control the heating system using a thermostat.Rooms can be heated up independently. Get 35% Off All Warmup Products! We are currently providing a huge 35% discount on all Warmup products sold on our website. There is no catch, and you can simply choose any products by Warmup to instantly get a 35% discount. Installing Warmup underfloor heating systems is easy. If you have experience in DIY, you might be able to do it yourself, but most people prefer to hire an electrician or tiler. It is often a quick job that does not take more than a few hours, although this depends on the size and shape of the room. Mats are particularly quick to install because you can simply roll them out and stick them down, while a loose wiring system takes a bit longer. Overall, it depends on the size of the installation, the type of room and the number of obstacles in it. 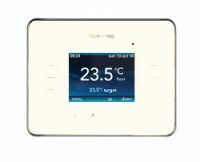 We sell a range of Warmup thermostats at Atlas Ceramics. These are all simple to operate, and you can use them to turn your heating up or down, while with some of them you can programme your heating to come on before you wake up to avoid wasting energy and save money on your bills. The Warmup 3iE thermostat comes in multiple colour options to better match the style of any room in your home. It is stylish and programmable, and it adjusts automatically to the room temperature. It has a 2.4-inch colour screen, touch technology and a simple interface that makes it easy to set up and use. The Warmup 4iE thermostat is a smart WiFi thermostat that you can operate with your smartphone. It will automatically set the right temperature, and it can even work out how long it will take you to arrive home so it can set the temperature for you while ensuring your data is secure and encrypted. The Tempo Programmable Thermostat has a clear and simple display that is easy to use. It displays the programme details so you can set your programme easily. We also provide the MSTAT Manual Thermostat. This simple and effective thermostat allows you to set the temperature using a dial so it is incredibly easy to operate. Warmup Heating mats, called ‘StickyMats’, are perfect for a wide range of projects, including new builds and restoration projects. These mats can simply be rolled out across the floor in large, open rooms with a regular shape. Each mat is 0.5 metres wide, and you simply roll out the matt, cut it and turn around. They include a pressure-sensitive adhesive that instantly secures them to the surface to provide a secure bind that stays flat. They are incredibly thin, and the wires attach to a glass fibre mesh that makes them durable. 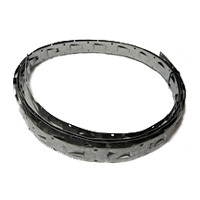 They are ideal for tile or stone floors, but they can also be used with timber or vinyl floors. Simply cover the heating mat with a levelling compound to make sure is flat. We sell these stickymat kits in a range of sizes, from 0.5 square metres right up to 15 square metres. They also come in two versions: 150W for well-insulated rooms and 200W for colder areas. 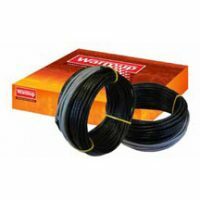 The Warmup Loose Wire System is ideal for rooms that are shaped irregularly and have obstacles in the way, making it suitable for kitchens or bathrooms. Suitable for tiled or ceramic floors (or vinyl or timber floors as long as there is a levelling compound used), the systems can be fixed to the subfloor in hours and there is no need for digging up the floor or raising the floor level significantly. The heating cable is very thin at 1.8mm, which is the thinnest available while still remaining very tough. The system is highly flexible and is available in various pack sizes. Warmup Underlay is positioned between the heater and the subfloor to reflect the heating upwards and provide better insulation. This results in a more efficient system because more heat goes into the room, making it warmer and more comfortable. 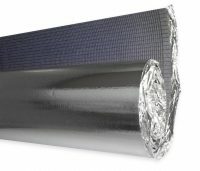 Foil backing is used to provide a good barrier for moisture, and the underlay is made from thin and light polystyrene that is just ¼ inch thick. It comes with acoustic properties to reduce noise, and installation is very easy. Warmup Insulation Boards are designed to reduce the time it takes to heat up the room by up to 90%, ensuring your home is more eco-friendly, and helping to cut your bills. These are made from extruded polystyrene and can hold up to 30 tonnes per square metre. They can be cut to size to fit any shape room simply using a utility knife, and they come in a range of thicknesses. Coated with concrete and fibreglass, they are incredibly strong while also remaining flexible. They are waterproof, making them suitable for bathrooms, kitchens and showers, and they also have sound-proofing properties. 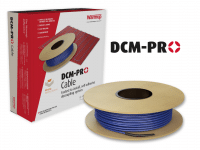 DCM-PRO is a complete underfloor heating system comprising a Heating Cable, Anti-Fracture Membrane and 4iE Smart Wifi Thermostat. The Anti-Fracture Membrane can be installed on cement and wood subfloors using adhesive. The special design means more adhesive connects with the cable, leading to better and more even heat distribution. 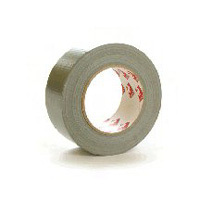 It is fast to install and uses only a small amount of adhesive, saving you time and money. We would love to help you with your new Warmup underfloor heating system. Whether you need an entire system or just want to shop for one of our products like a new thermostat, you can buy what you need directly from our website or walk-in shop and showroom. Your brand new electric system could be ideal for your kitchen, bathroom or any other floor across your home where you’d like a radiant, warm and toasty room in the months of the year where the temperature is cooling off. 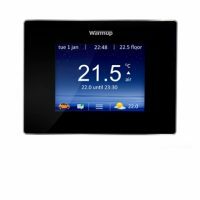 Warmup have established themselves as one of the big players in the world due to the cost, comfort and efficiency of their solutions. Buy with confidence in knowing you’re getting some of the best prices available with Atlas Ceramics – which is great compared to what’s available elsewhere and on ebay. As an official retailer, we have one of the best deals and offers currently available in the electric underfloor heating trade, with up to 40% across some of the kit we’re currently selling. Contact us for more information and we will answer any questions you have about the top selling, quality solutions available from Warmup worldwide.